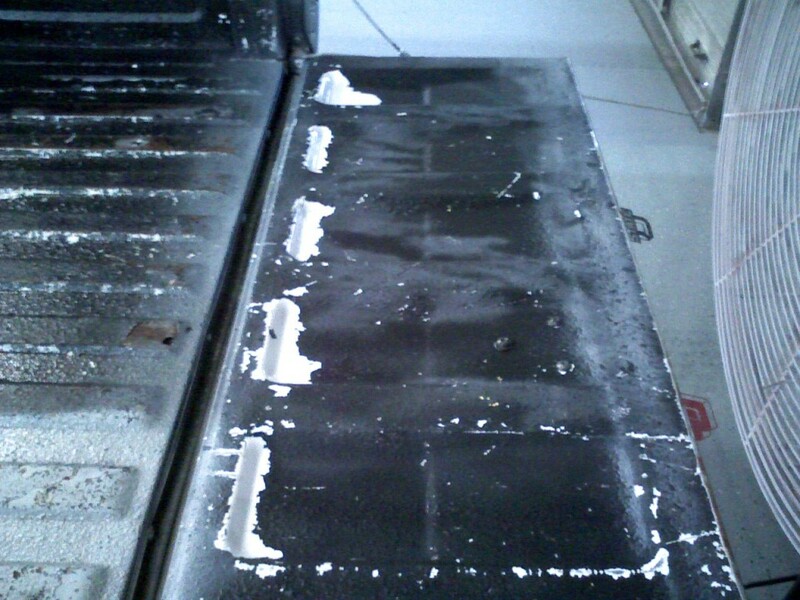 The process used to remove a spray-in bedliner is harsh and requires some aggressive work. Here’s a good-faith attempt at explaining the removal process and offering some suggestions on alternatives. Why would you need to remove a spray-in bedliner? Fading – No matter how much you spend on your spray-in, it will fade. It’s a result of UV radiation from the sun breaking down the chemicals that give the liner its’ color. Staining – None of the major spray-in or DIY roll-on bedliner companies warranty against stains. Depending on what you spill in your truck bed and how long it sits there, you can have some minor stains (water spots can stain) or some major stains (grease, oil, deer/animal blood, food) in your spray-in. 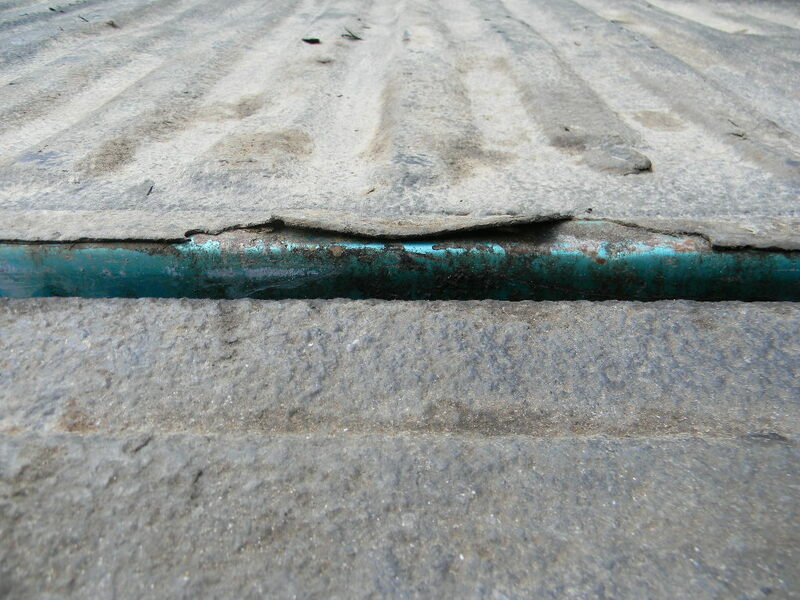 Rips and Tears – If a spray-in liner is gouged during loading, or if the edge of the liner material is caught by cargo (eg. you’re pushing something across your tailgate and it catches the liner), the material can tear. Peeling, Cracks, and Bubbles – If the spray-in wasn’t installed correctly, it can peel, crack, or bubble. While these types of failures are usually covered under warranty, most warranties are limited to the original purchaser. So, if you bought your truck used, you might not be covered. Of course, if it wasn’t for bad luck some of us would have no luck at all! While they can easily become damaged or start to look ugly, the process to remove a spray-in bedliner is incredibly difficult. We reached out to both professional vehicle paint and body repair experts, as well as consumers who have removed liners on their own, and came up with a process that will work (only it may take quite a bit of time). NOTE: While it may seem self-serving to say it, DualLiner doesn’t recommend that you remove a spray-in bedliner yourself. The time and energy required is rarely worth the return. Instead, we suggest you put another liner (like – cough – a DualLiner) on top of your damaged spray-in bedliner, as that will fix the cosmetic problem and still provide great bed protection without the additional effort or the expense of refinishing the bed. However, if you’re trying to restore a truck bed to factory condition, or if you’re trying to remove a spray-in bedliner from only a part of your truck bed, read on. Reviewing the current condition of the liner and your truck bed can give you an idea of the work you’ll need to do to remove it. Start by looking for bubbles, cracks, or flakes in the liner material. If you see a lot of bubbles, cracks, etc., than removing the liner might go relatively easy. If you don’t, it might be a good idea to re-consider the task ahead. You can choose to skip this step if you want, as the chemicals pretty harsh and require great care. There’s a product called Aircraft Remover that’s very popular in the auto world for its extreme qualities. It’s mainly used by people trying to strip paint and rust off old muscle cars, but it’s also used by truck owners who’ve had it with their spray-in bedliner. Be very cautious when using this product — you pretty much need to treat it like hazardous waste when you’re around it, because it will basically melt away whatever it touches. Don’t even think about using this chemical without eye protection, gloves, and protective clothing. What’s more, don’t spill this chemical on concrete flooring or driveways. It’ll eat right through (and you’ll be sorry). You just “paint” this chemical onto your bedliner, allow it to soak in for 5-15 minutes, and then scrape away whatever it loosens up. It will take time, and may require multiple coatings, but Aircraft remover will strip away your old bedliner without damaging your truck’s metal bed. NOTE: Aircraft Remover (and other chemicals like it) will strip away any paint they come into contact with, and it will literally melt plastic. If you’re using this on your truck, be very careful. If you decided to skip step 2, or if you’re dealing with a thick section of material, an angle grinder fitted with a wire wheel can be very effective. Just be sure to clear your schedule. Using a heat gun and chisel, heat the pieces of liner and chisel them away. Most people use a hand tool, like a paint scraper, but some also choose to use more aggressive air chisels. Of all the methods available to truck owners, this is probably the best. A few of the body shop pros we talked to said this was the best way to go. However, they warned that you have to be very careful to angle your chisel. Otherwise, you’ll dent the bed. So after chemical treatments, grinding, heating, chiseling, and all that is done, you will need to sand away what’s left. What grit sandpaper at this point depends on what’s left over. Sometimes a very fine grit, like those used for detailing, will smooth over what’s left — other times, you will still need a heavy duty grit after all you’ve already done. Alternatively, you can skip all the steps and pays someone to remove the liner for you. Of course, if you’re going to pay a few hundred dollars to get a liner removed, why not just buy a DualLiner to put on top of the one you have? Always wear a mask and proper safety coverings when using chemicals, sanding, etc. Practice proper chemical safety procedures. Bedliner removal is a very messy task, no matter what method you use. A few people suggested working somewhere other than your own garage. Consult with a professional body shop to get an estimate on this work. Don’t think that doing it yourself will save you any money — the chemical strippers alone can break the bank. Unless you intend to install another spray-in liner, you will probably need to have your truck bed repainted after the removal process is completed. Sadly, there is little chance of removing a damaged spray-in bedliner without doing some sort of “collateral” damage. From melting plastic trim pieces to bed dents, damage is sort of inevitable. Even the pros say this. Is Removing An Old Bedliner Worth It? In a word, no…or at least that’s what we think based on talking to a handful of experts. Removing an old spray-in or DIY roll-on liner is necessary if you’re trying to restore a factory paint job, or if you really want to install a new spray-in liner to replace the one you removed. Otherwise, you might think about covering up the tattered old spray-in liner you have with DualLiner. Has anyone tried a high pressure or high temperature pressure washer? The car wash pressure washers don’t work, I tried. Pretty sure they are only around 1000 psi. Home Depot has a steam pressure washer I was thinking about trying.